This headline from the St. 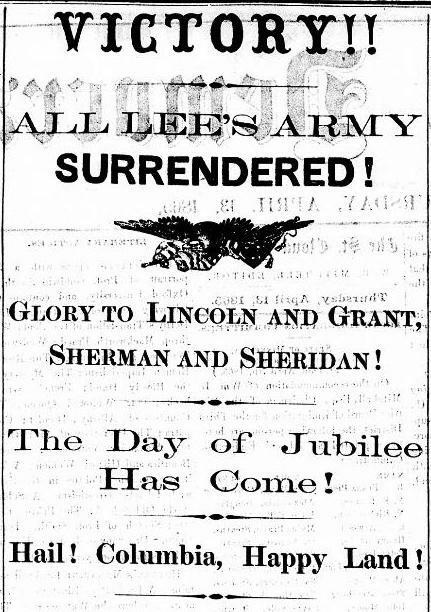 Cloud Democrat announces the end of the Civil War on April 13, 1865. Visit our Newspaper Hub to see more articles from the period!